Congress president Rahul Gandhi on Sunday challenged PM Narendra Modi to a debate on corruption after the latter refuted allegations of crony capitalism in the Rafale deal case in a recent interview. 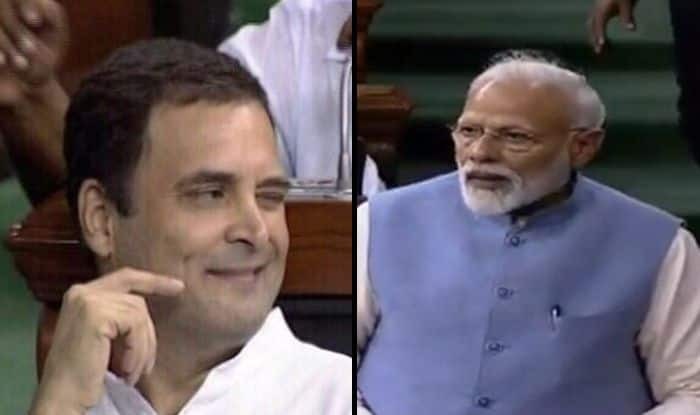 New Delhi: Congress president Rahul Gandhi on Sunday once again challenged Prime Minister Narendra Modi to a debate on corruption while tweeting a snippet from his recent interview to a news channel. He exclaimed, “You can run Mr Modi but you can’t hide. Your karma is about to catch up with you. The country can hear it in your voice…” Rahul Gandhi said this in reference to the Prime Minister’s recent interview, wherein he is refuting allegations that he helped a businessman revive his dwindling fortunes by allotting him the Rafale deal with French company Dassault Aviation. Rahul Gandhi and the Congress party have been dragging Prime Minister Narendra Modi and the BJP’s chowkidar campaign in connection to various corruption cases, including the Rafale jets deal-which has also run into a controversy of crony capitalism, apart from corruption. Gandhi at various rallies has been targetting both the PM and a businessman, he alleges that the Prime Minister has been helping on the cost of national interest. “Modi keeps saying he has been battling corruption everywhere. But he himself is corruption personified. He is a ‘chowkidar’ not for the people but Ambani and Adani,” Gandhi said at a public rally in Haveri, about 350 km from Bengaluru on March 9. The Congress President alleged instead of waiving crop loans, Modi waived Rs 3.5 lakh crore loans of 15 cronies, including Ambani and Adani. Lashing out at Modi for the November 2016 note ban, Gandhi said demonetisation forced lakhs of people to stand in queue for exchanging their hard-earned cash or depositing them in their bank accounts. “Demonetisation led all of you to stand in the queue. But did you see even one suited and booted person standing in the queue? Such as Nirav Modi, Mehul Choksi, Vijaya Mallya or Ambani? No,” Gandhi said at the party’s “Parivarthana” (change) rally. In a combative speech, Gandhi alleged the “chowkidar” took money from the people’s bank accounts and distributed it to his cronies. “Five years ago, Modi said ‘make me a chowkidar and not the Prime Minister‘. The country voted for him. But Modi stole Rs 30,000 crore and put it in Ambani’s pocket,” Gandhi said. He also blamed Modi for helping Ambani get the offset contract from French aerospace major Dassault Aviation for procuring 36 Rafale fighter aircraft for their induction in the operational fleet of Indian Air Force (IAF). “Papers (official documents) show PM (Modi) opened his own negotiations parallel to that of the Defence Ministry. Ambani went to France with Modi for the Rafale deal although he never made a single aircraft in his life,” claimed Gandhi.